Warwik re-enacts the late medieval age focusing on Scandinavia and Germany around 1460-1480. 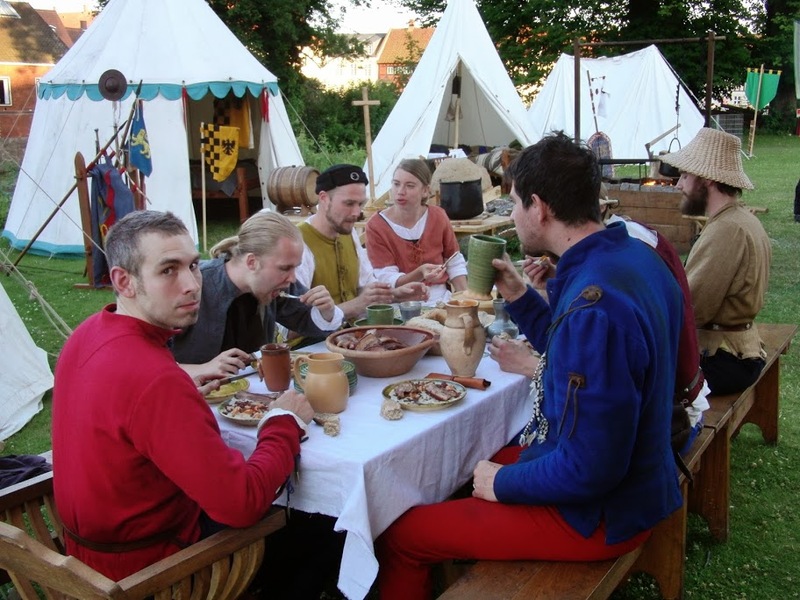 Our research, out-reach and re-enactment is naturally motivated by on our own modern, everyday lives and interests. They gift us with several skilled craftsmen capable of recreating anything from furniture to kitchen knives, wood-cuts or writing utensils. The chlothes we wear have all been sewn by group members – the skilled help the less skilled. For those who love cooking there is endless excitement in preparing the meals of the past – using a wood-fired hearth. The group furthermore enjoy the great priviledge of including several educated teachers who work in schools or kindergartens. This leaves a strong proficiency with imparting knowledge to people of all ages. Generally, many of Warwik’s members have worked with dissemination via re-enactment for several years in other contexts, which is a great benefit to the group. Apart from this, many Warwik members have acquired special knowledge within different topics. For instance, we have a doctor re-enacting the medieval profession of barber-surgeon. We have a professional tailor specializing in medieval hats. A materials chemist who have studied the use of jewelry, gems, metals and goldsmithing. Not to forget a couple of leasure time hunters with expertise in medieval hunting phenomenons, weapons and game. Among several others. We have assumed the medieval name of the Danish town Varde, as many members of the group stem from that general area.